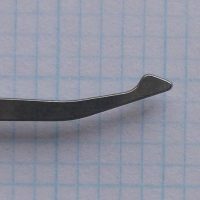 A deep cut close to the bow of the key is a great way to make a weak key. But it is also a great way to add security to a simple lock. 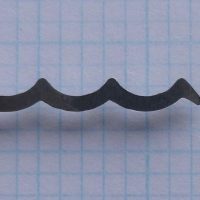 These deeper cuts at the front of a lock reduce the height of your “picking window.” We can pick locks because the lineup of holes in the plug and in the shell are not perfectly linear. Because of this lack of linearity turning pressure on a lock allows individual pin sets to sequentially block the turning of the plug. That enables us to pick simple locks by individually finding and lifting these “blocking” pin sets. Typically the cheaper the locks, the more poorly made, the worse the machining, the easier to pick. Applying turning pressure to the front of the plug puts a bias on thr front of the plug that tends to causing the front half of the pins to be more likely to block the plug from turning. As such you identify themselves to be “pins that are ready to be picked.” You get a resounding “click” as you hit those pins to sheer because of that bias. However each pin set you pick adds a new pivot point or fulcrum within the plug to shell interface. This shift tends to release the front pressure on those deeper front pins that you have already picked. 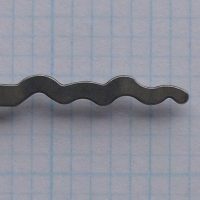 The remaining pins typically reside in the rear of the lock, requiring the tapered shank of your pick to enter the lock more deeply. 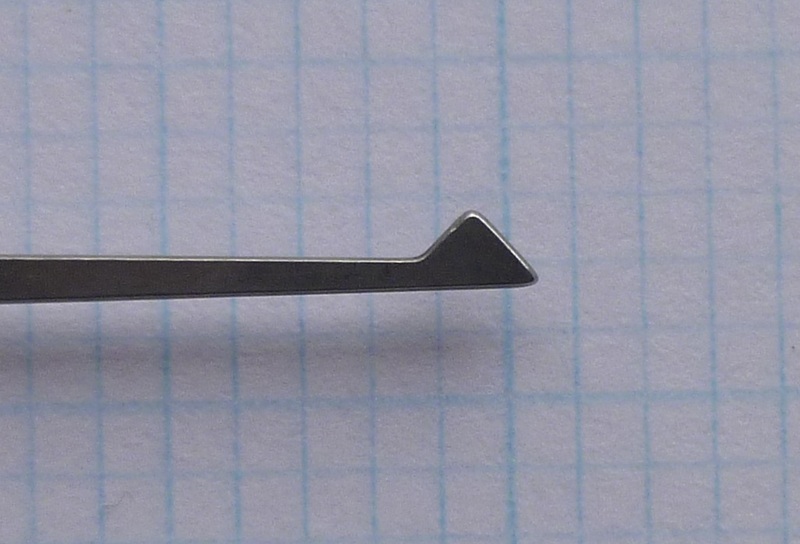 Because your pick is taller closer to the handle, if you have a Deep Cut in the front of the key, any movements that you make while picking the rear most pins can easily nudge and lift those deep front pins above their sheer. 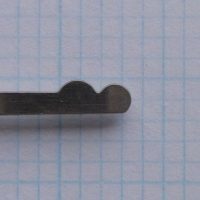 Now you know why we designed Deep Cut Access Picks (DCAP). Only available in Government Steel with plastic handle.